At PDH Academy our mission is to provide hassle free, cost-effective online continuing education for Speech-Language Pathologists. 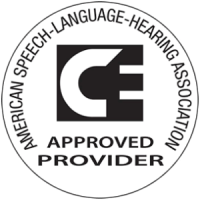 We are fully approved as a continuing education provider by the American Speech-Language-Hearing Association (ASHA). 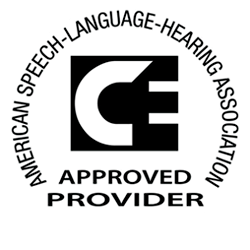 All of our courses are registered with ASHA to provide ASHA CEUs. To learn more about your state regulations, click here. Save 35% when you spend $150 or more. Use coupon code SLP35 at checkout. 7 HOUR COURSE BUNDLE Get 3 courses, 7 hours and save $11! 8 HOUR COURSE BUNDLE Get 2 courses, 8 hours and save $11!